O. Balanovsky and M. Chukhryaeva have equally contributed to this article. Affiliations for The Genographic Consortium are moved to Acknowledgements. The online version of this article (doi: 10.1007/s00439-017-1770-2) contains supplementary material, which is available to authorized users. We thank all sample donors whose participation made this study possible, and the Georgian church which approved and assisted in sampling in Georgia. The Genographic Consortium includes: Li Jin, Hui Li, & Shilin Li (Fudan University, Shanghai, China); Pandikumar Swamikrishnan (IBM, Somers, New York, United States); Asif Javed, Laxmi Parida & Ajay K. Royyuru (IBM, Yorktown Heights, New York, United States); R. John Mitchell (La Trobe University, Melbourne, Victoria, Australia); Pierre A. Zalloua (Lebanese American University, Chouran, Beirut, Lebanon); Syama Adhikarla, ArunKumar, GaneshPrasad, Ramasamy Pitchappan, Arun Varatharajan Santhakumari, Kavitha Valampuri (Madurai Kamaraj University, Madurai, Tamil Nadu, India); R. Spencer Wells and Miguel G. Vilar (National Geographic Society, Washington, District of Columbia, United States); Himla Soodyall (National Health Laboratory Service, Johannesburg, South Africa); Elena Balanovska & Oleg Balanovsky (Research Centre for Medical Genetics, Russian Academy of Medical Sciences, Moscow, Russia); Chris Tyler-Smith (The Wellcome Trust Sanger Institute, Hinxton, United Kingdom); Fabrício R. Santos (Universidade Federal de Minas Gerais, Belo Horizonte, Minas Gerais, Brazil); Jaume Bertranpetit, Marc Haber, Marta Melé, & David Comas(Universitat Pompeu Fabra, Barcelona, Spain); Christina J. Adler, Alan Cooper, Clio S. I. Der Sarkissian & Wolfgang Haak (University of Adelaide, South Australia, Australia); Matthew E. Kaplan & Nirav C. Merchant (University of Arizona, Tucson, Arizona, United States); Colin Renfrew (University of Cambridge, Cambridge, United Kingdom); Andrew C. Clarke & Elizabeth A. Matisoo-Smith (University of Otago, Dunedin, New Zealand); Jill B. Gaieski & Theodore G. Schurr (University of Pennsylvania, Philadelphia, Pennsylvania, United States). 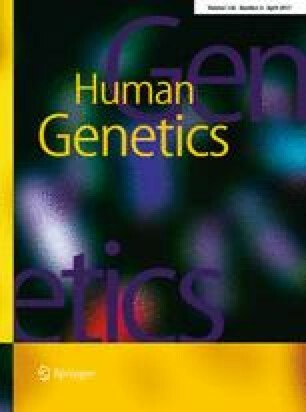 All procedures performed in studies involving human participants were in accordance with the ethical standards of the Ethics Committee of the Research Centre for Medical Genetics, Moscow, Russia and with the 1964 Helsinki declaration and its later amendments or comparable ethical standards. This study received primary support from the Russian Science Foundation Grant 14-14-00827 (to OB, MC, AA, VZ), including data analysis and completing the paper. Y-chromosomal resequencing was done mainly using funding from the Historical Genetics lab in the Moscow Institute of Physics and Technology. Erzurum Armenian samples were genotyped with support from the Russian Foundation for Basic Research (Grant 16-36-00122 to MC), while the Hemsheni and Krasnodar Armenian samples were genotyped with support from the Russian Foundation for Basic Research (Grant 16-06-00364 to EP) and from the Genographic project. CTS was supported by The Wellcome Trust (098051).